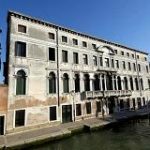 Wonderfully decorated Venetian palazzo with magnificent frescoes, chandeliers and precious marbles. 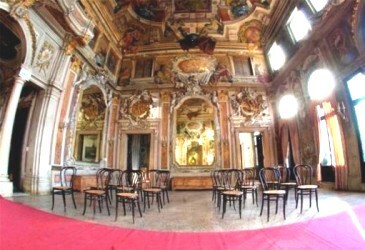 This palace is a fine example of late Venetian baroque style architecture. The salons are absolutely stunning, with mirrors, Murano glass, stuccos and delicate frescoes all decorated by important artists of the time. This venue is ideal for those who want a wedding ceremony immersed in historical rooms which recall the atmosphere of past centuries.